As it has done now for several seasons, the Trillium Piano Trio of Jupiter opened the new season of concerts at St. Paul’s Episcopal Church, and this year brought along a good piece of fresh repertoire to deepen its offerings. The Piano Trio of the Swiss composer Frank Martin, written in 1925, is based, as its subtitle says, on Irish folksongs, and Martin made a serious, sinewy piece out of the tunes. The trio – pianist Yoko Sata Kothari, violinist Ruby Berland and cellist Benjamin Salsbury – gave a decent account of the piece, helping to acquaint the rather large concert audience with a worthy work of early 20th-century modernism. Standing out in this performance were Salsbury’s solo work at the beginning of the second movement, which showed off his dark, warm sound, and the overall high spirits and rhythmic infectiousness of the third movement, a vigorous jig. But while it was an effective, engaging reading overall, it lacked a certain lived-in quality that would have allowed some more contrast and drama. The church itself doesn’t offer a lot of reverb, which would help, but the work is written in definable sections, and they needed to be set off with greater light and shade. The concert opened with the lone, and late, Piano Trio (Op. 120) from 1923 of Gabriel Fauré, which like all this master’s late works has an elusive, refined character that can be hard to bring off despite the beauty of Fauré’s first-rate melodic gift, much in evidence here. Kothari opened the work with gentleness and mystery, and solo passages from Berland and Salsbury were deeply Romantic and evocative. The end of the second movement, which begins with simple chords like one of Fauré’s songs, climaxes in an intense dialogue between violin and cello that needs a tight focus by both players to make narrative sense. It was somewhat aimless in this performance, though interesting; a stronger sense of dramatic line would have helped. The finale is difficult to bring off, composed as it is of a dramatic string motif that reminds everyone of Pagliacci (a coincidence, Fauré said), and a jumpy, skittish piano motif that contrasts starkly with it. Kothari did a good job of bringing it out, and the movement came off effectively. The concert closed with the second of Mendelssohn’s piano trios (in C minor, Op. 66). It’s a beautiful, underrated work, even with its secure repertory status. The tense opening theme is stated in unison by violin and cello after the piano entrance, but Berland and Salsbury were not in tune with each other, which spoiled the effect. The rest of the movement had strength and drive, which helped make up for it, and Kothari had clearly worked hard to bring off her cascading solo figures in the middle. The second movement had a swift kind of lightness despite its Andante espressivo marking, which is more in keeping with older practice and fits the music better. All three players brought plenty of prettiness to this music’s long melodic outpouring without overdoing it, which was refreshing. The exciting scherzo was taken a nice brisk clip that didn’t flag, much to the musicians’ credit, and the finale was offered in good storm-and-calm style, with plenty of passion for the outer sections and graceful sturdiness for the chorale (which is Mendelssohn’s own, though drawn from Gelobet sei Du, Jesu Christ). All three of the musicians in the Trillium Piano Trio have considerable ability and experience, and they are to be commended for continuing to pursue this substantial literature. They play with skill and dedication, but they could use some more ensemble time together so they could add more contrast, more shape, and a more organic feel to the ebb and flow of the music. Some more frequent performances, in other words, are in order. And if that happens, the payoff could be handsome. Although the universe of music written for the piano is truly enormous and of impressive variety, there’s only a small portion of the repertoire that a concert artist is more or less expected to play. Whilst a pianist might be able to sneak into a program something brazen by Bartók, Ginastera‘s fiery Malambo, a luxuriant Feuille d’Album of Medtner, or some other desirable obscurity, the reality is simpler — certain pieces of Bach, Beethoven, Schumann, and Chopin. 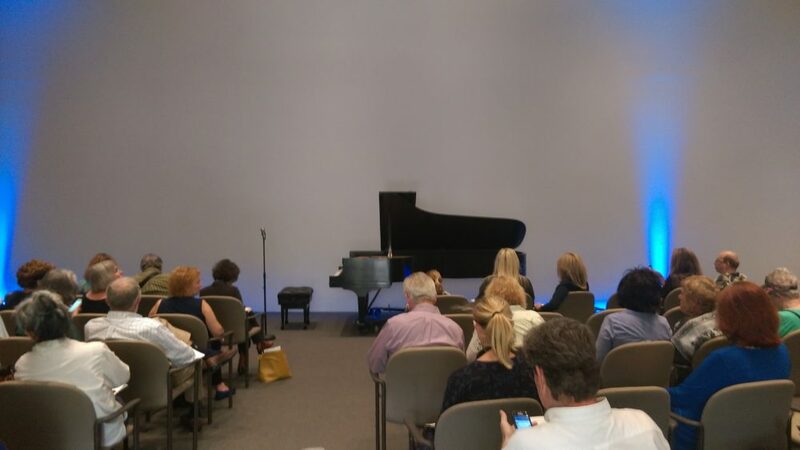 That is the bread and butter of piano players, who are just as likely, if not more so, to have a career performing at college campuses, community centers, and at private soirées as they are playing at concert halls in major cities. A breach has opened between classical record companies and the majority of classical artists — record companies aren’t really looking to do a lot of standard literature with artists, no matter how well they might play it, as they already have a backlog of such recordings by others sitting in the warehouse. Artists, however, have to respond to the public to a certain extent by playing pieces they know and want to hear. Moreover, artists want to have recordings on hand to vend at their recitals, as this not only helps generate some additional income, it provides a memento of the artist’s performance that continues to give long after the concert program has disappeared into a scrapbook. An increasing number of artists have decided to take matters into their own hands; to hell with the record companies’ dust-gathering inventories, we are going to make our own recordings of whatever we want, because we need them. Yoko Sata Kothari is just such an artist; a winner of a number of piano competitions in her native Japan, Kothari ultimately settled in Florida, where she teaches and plays a round of concerts year round in addition to periodically returning to Japan to play. YDK Productions is Kothari‘s own concern, and she has produced at least two CDs, of which Piano Works of J.S. Bach, Beethoven & Liszt is the first. All of these pieces are well known and often recorded, and chances are Kothari wouldn’t have been able to sell this program to a big — or even a moderately sized — classical record concern. The recording is a little dry, and the Bach performances, while good, seem a little more technically pristine than particularly emotive. But the rest of it is superb; a fearsome, crashing Liszt Funerailles, a powerful and lightly syncopated reading of Beethoven‘s Sonata No. 31 in A flat, and concluding with a Liszt La Campanella that resonates with the same romantic authority as a crackling old 78 of some legendary master of the past. With Yoko Sata Kothari, the major league classical labels don’t know what they’re missing. However, that comes as no concern to her audiences; if their ears are on straight, this disc will serve both as a memento of a terrific pianist and a source of enjoyment for some time to come. One must admire Kothari‘s pluck in going her own way; that she does it for the most part “right” is an aspect that many of her colleagues are still working on in producing their own CDs; more power to all of them, but congratulations to Kothari! Piano Works of Ravel and Balakirev, self-produced by Florida-based pianist Yoko Sata Kothari through her own YDK Productions imprint, has an interesting and inspired programmatic theme behind it. Subtitled “French Impressionism and Russian Romanticism,” it takes advantage of the natural confluence between the nineteenth century Russian nationalists with French impressionist literature by splitting her disc between well-chosen examples from each genre. The disc opens with Ravel‘s Gaspard de la Nuit, and a superb “Gaspard” it is; Kothari is broad and muscular in “Ondine,” appropriately static and restrained in “Le Gibet,” and she brings out a wealth of hidden dynamics in the difficult “Scarbo,” a piece some pianists are just satisfied to get through. Her Pavane pour une infante défunte is sensitive and well measured; Kothari avoids the trap of lingering too much on certain phrases and delivers a balanced, nuanced interpretation of what many might consider an overly familiar piece. Balakirev was by all accounts the finest pianist to be found among the “Mighty Handful,” though of his many piano pieces, only the flashy Islamey has managed to retain its place in the repertoire, which is dominated by Mussorgsky‘s Pictures at an Exhibition. Islamey is certainly here, in a strong, aggressive reading that is nonetheless very clear in its exposition of the many lines of counterpoint in Balakirev‘s harmonically busy piano piece, and Kothari‘s reading of the slower middle section is especially good. The real gems, though, are Balakirev‘s stormy B minor Scherzo and the Nocturnes. One aspect of Kothari‘s playing that is appealing is her power; she has a strong, masculine approach that is refreshing in a piano market where delicacy and holding back is considered king. However, when sensitivity is called for, Kothari can deliver it without descending into bathos; she keeps things moving. The piano sound is warm with a very good sense of stereo spread; the sense of space helps open up the Ravel, particularly in the Pavane. 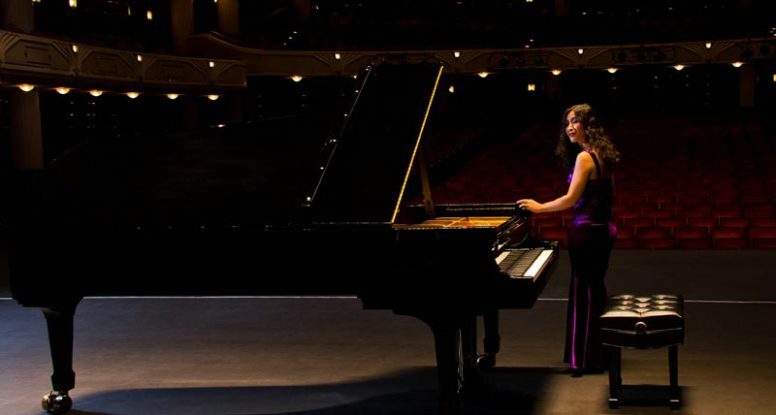 Piano Works of Ravel and Balakirev is a better-than-average piano disc made by an artist for supporting one’s concert appearances, which in Kothari‘s case have been largely concentrated in Florida, where she teaches. The disc is available through her website, www.yokoskothari.com.